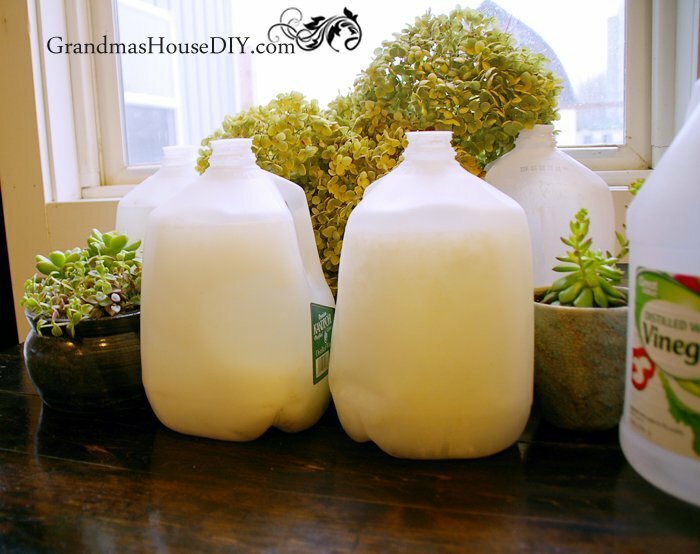 Homemade Laundry Detergent DIY only $3.50 for 4 Gallons! Put a big pot on the stove with about half a gallon of water in it and add all three ingredients, use a long handled spoon and DON’T boil it! If you let it get too hot you will have lots and lots of suds all over your kitchen and end up with an incredibly clean stove! Just keep stirring it around medium or lower heat until everything dissolves. 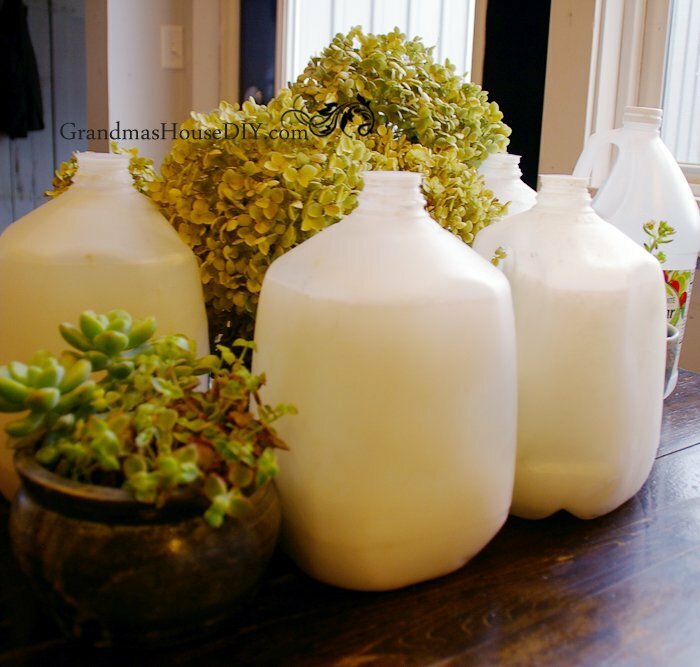 Let it cool a little (If you let it cool too much it will become gelatinous) and then use a funnel and evenly distribute the laundry detergent into the four 1 gallon jugs and then carefully fill them up the rest of the way with your sink water running as hot as possible. (If you add cold water to it it will become chunky but still work.) Be careful filling them because there will be lots of suds! I usually just do a hot water trickle back and forth between them until they’re full and then you are done! Give it a shake before you use it and just add as much as you normally would any other kind of laundry detergent. Seriously: 4 gallons of laundry detergent for only $3.50! A note about bars of soap. Right now I have a couple of extra bars of Ivory soap left over so that’s what I’ve been using. Once I run out of the Ivory I will be switching to an organic and natural soap that I plan on buying from Amazon or locally. Some soaps are A LOT easier to grate then others! 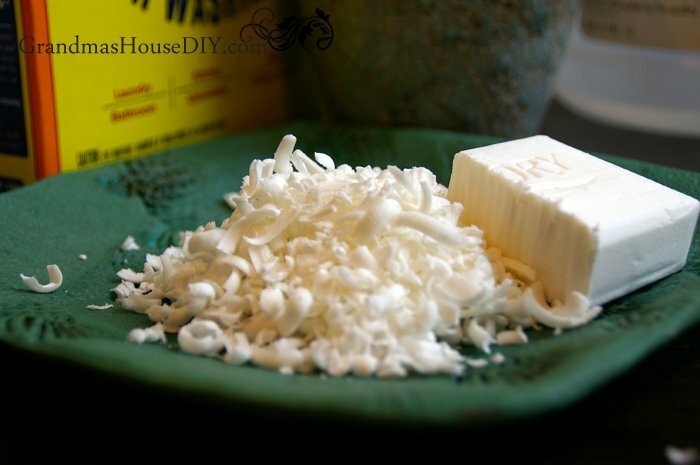 Ivory is a softer soap so I can grate half a bar in just a minute or two. However I have purchased and used other bars of soap where grating them was a real work out and not something I ever want to go through again. So, if you can I would really recommend finding some soft soap! Wonder why I have a bottle of vinegar in the pictures too? I use it as fabric softener! Anywhere on your washing machine where you would normally put in liquid fabric softener just add a tablespoon of white vinegar instead. It’s all you need! 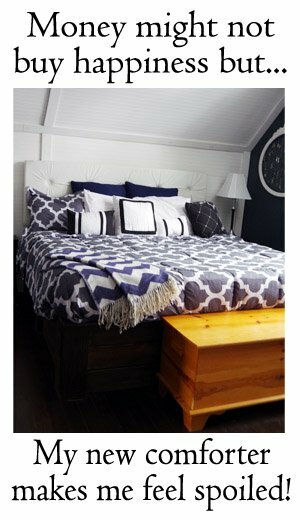 No more fabric sheets, no more buying expensive liquid fabric softener – just use a little white vinegar! Bonus: the white vinegar has the added benefit of helping keep your washing machine clean and mold free as well. So, how do my clothes smell? I’ve seen lots of Laundry detergent recipes online and they all suggest that you can use essential oils in the recipe. I tried this and it didn’t work – yes the laundry detergent smelled great but by the time my clothes were finished you couldn’t smell it at all – probably because I use vinegar as fabric softener. Considering the cost of essential oils I opted instead to use them elsewhere. My clothes, in the end, smell like absolutely nothing. I’m serious – they literally smell like nothing. Even with the added vinegar you can’t smell it at all in the end. That’s it! Its so easy to make and Four gallons lasts me around nine months so, as of right now, I’m very little on laundry detergent! Vinegar is incredibly inexpensive as well and I literally have not had a break out on my back since I started using it and that’s worth so much to me! If you have skin problems or “bacne” I would really urge you to try this! Have you checked out my recipe for dishwasher detergent? It’s only .10 a load and it absolutely beat my hard water problem. You can check it out here: How I beat hard water and saved money washing my dishes! As always guys, thank you so much for coming by! UPDATE: I have heard many of you mentioning concern about using this home made detergent in your High Efficiency washing machines. I did some pretty serious research and found that the High Efficiency (front load or otherwise) machines need to use a soap that does not produce a lot of “suds” like regular laundry detergent does. So, good news folks! Compared to regular laundry detergents (and like most homemade soaps of every kind) this recipe produces almost no suds whatsoever. I can attest to this because I have a brand new LG front load High Efficiency washer/dryer combination machine and I do not worry at all about using this homemade recipe in it! But do your own research and make sure that your mind is at rest before trying out any new recipes! Check out my other natural recipes! 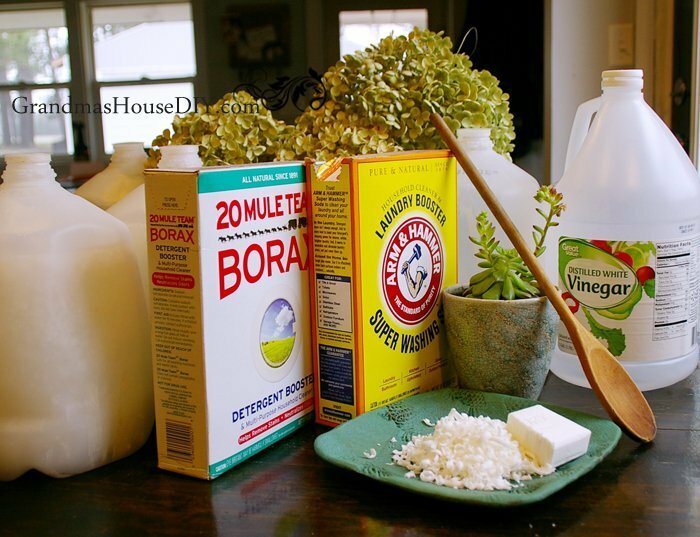 Homemade dishwasher detergent, how to beat hardwater! This is so cool! I love a recipe like this with just a few simple, recognizable ingredients. Thanks for sharing this. Gonna give it a try! Thank you! Hope you like it as much as we do! Ahhhhh! I just bought new detergent today and I have all the supplies already to make this! Thanks for sharing how easy this is. I’m definitely about the cheap and about the simplicity of ingredients. Next time you gotta try this! 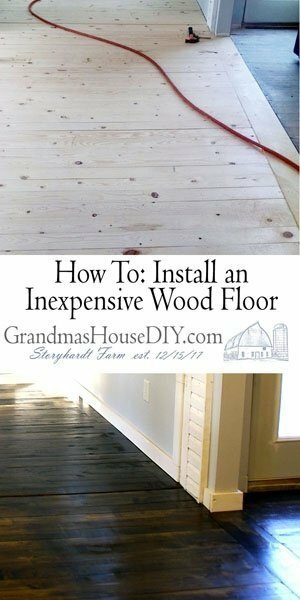 It is SO easy and so inexpensive in comparison! Can you use this in front loaders? They require the HE detergent, so I’m wondering. I use it in our new LG front load washer/dryer combo unit and it works great! Hi there, about 1/4 of a cup or even a little less 🙂 Thanks! 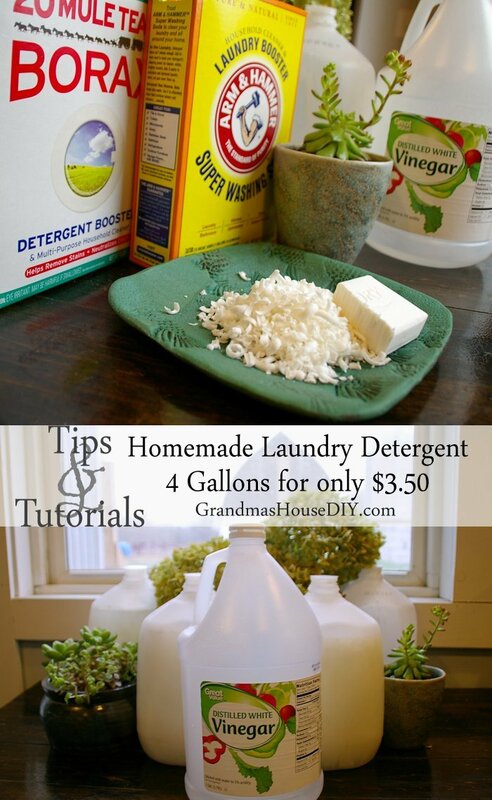 That is great that you make your own laundry detergent! here in Europe, there’s no Borax though, you know what I could use instead?? Thanks! I think I have everything on hand – I just might give it a try! 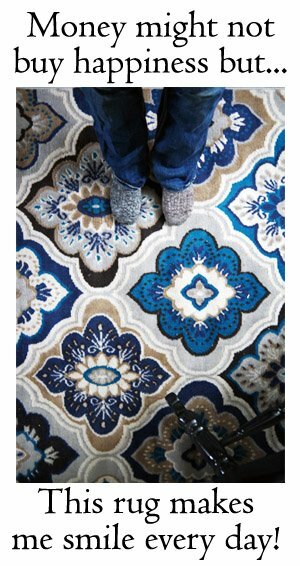 Thanks for sharing on the Pleasures of the NW’s DIY link up! Thanks for the recipe. Thanks for linking up to Merry Monday! Pinned! Have a great week! Great idea. Thank you for sharing at Home Sweet Home! Thanks for sharing your recipe with SYC. IT sounds great! I’ve always heard about making homemade laundry detergent, but was worried that it would be too strong for my daughter’s sensitive skin. It’s nice to know that it works well on your skin, which seems to be fairly sensitive as well. Thanks so much for sharing at the #happynowlinkup! Yup, I’ve been really happy with it because it doesn’t seem to leave any smell or residue behind at all! Thanks for coming by Leslie! Thanks Carla! Now that we’ve been using it I can’t go back at all now, the commercial detergent bother me more then ever! This looks like a great recipe. I can hardly wait to try it. About how long does this recipe last? Through how many loads per week? & Does your-all’s machine take a bigger load than the regular machine? Oh, and, do you need to shake the bottles before you use them? Yup you do need to shake the bottle before using 🙂 With four gallons we go through about a jug every month and a half and we do about three loads a week. Our washer/dryer is a normal to a bit on the small size when it comes to how much clothes we can get in a load. I was using the same recipe when I was staying with my mom and I find I use about the same in her new “normal” set as we do in our combo (maybe 1/4 of a cup a load). Hope that helps! I’ve been wanting to make my own laundry detergent – thanks for the recipe! Hope it works for you as well as it has for us!! Thanks for sharing this! My skin has been a mess for about 3 mos and nothing seems to make it any better. Going to try this right away to see if it’ll help my itchy skin! It helped me SO much! Hope you get good results too! I found your blog through http://www.dagmarbleasdale.com/2017/01/dagmars-home-link-party-no-150/ . 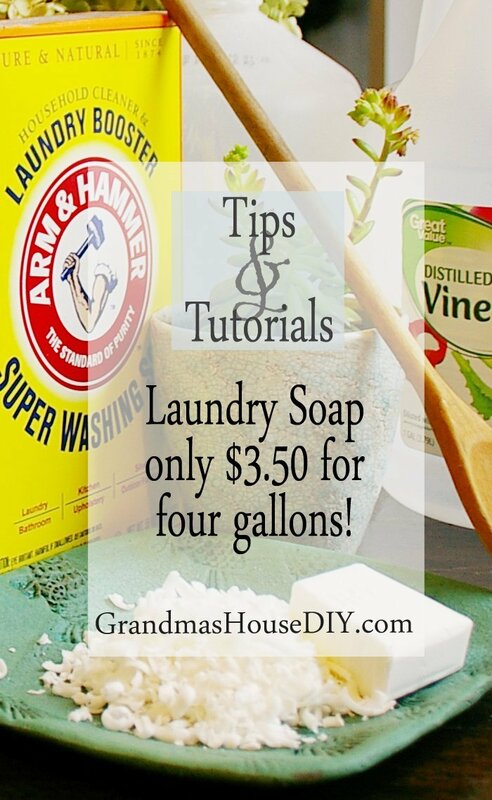 I have a neighbor who makes her own laundry soap – I will be sure to share this recipe with her, and I’m anxious to give it a try. Thanks! Thanks for coming by JD! I use a crock pot to dissolve all of my ingredients I put the ingredients in at night on low and leave it . Next morning I add the dissolved ingredients and a cheap bottle of stain remover and hot water in my canner and mix it all together and then I put it in a 5 gallon bucket . I have been very happy with the results . The bar of laundry soap melts good this way . When doing it on the stove it didn’t dissolve as well for me . That’s a great idea Linda! Next I’m going to try a liquid soap instead of the bar because, you’re right! the bar doesn’t dissolve very well and grating it can be a pain. Thanks for coming by! This is a great idea! I love using vinegar as a fabric softener too. It really does take away any smell in your laundry. Thanks Cassie! I was really surprised how well vinegar worked, and what a savings! It is definitely hypo allergic! Allergies are the worst. One night sleeping in a bed washed with sunlight soap and I too look like the chicken pox. I have been buying dye free and fragrant free soaps for a very long time. They are so expensive. I have never thought about using vinegar for washing, although I do use it everywhere else. Yup I had major break outs caused by all sorts of commercial soaps etc. I finally just gave up and am making everything myself now – saving money and no more break outs! I’ve always wanted to make my own laundry detergent. Is borax necessary for the recipe or can I just leave it out? Thanks for sharing at Sew It Cook It Craft It. You’re one of my features today. Hey Lina, you can always try it without borax for sure! I always have it on hand for a couple of other recipes we make and use here but there’s no harm in trying it! Maybe baking soda would work just as well in its stead? Good to know it works with HE machines! I saw your post linked at BLOGGER’S PIT STOP 87. Saved it on Pinterest. This is great! I just finished using about 4 gallons of a powdered mix similar to this (took about a year). Need to make my next batch – but now I’m not sure if I should stick with powdered or do liquid….powdered is easier for the kids to use I think, but liquid stretches the cost even more. This is going to be a tough choice! Hi Maria, I was actually thinking about skipping the water step myself and seeing how this recipe works without the liquid! It would certainly be easier to make and take up less storage space! I LOVE the thought of a liquid detergent! I’ve only done powdered, so this is on my to do list now! Thank you for sharing with us at the Homestead Blog Hop! Thank you Ann, hope this works for you as well as it does for us! 1. My washer repairman told me to not use powdered anything, as it can dry and coat the pipes etc. I have always used liquid and as my washer & dryer’s over 20yrs. old something must be going right. 2. Love this recipe it seems so easy, in another recipe I was told to use Zote bar soap and nuke it and it will crumble easily. bought some at Walmart, but haven’t tried yet as recipe was to time consuming, now I can try in this recipe. 3. Do you know if this recipe can cause any problems with a Septic System? Hi Barb, I’ve been using this recipe for YEARS and have experienced absolutely no problems caused by it. It is very low sudsing (it really doesn’t suds at all) and you only need to use a little and I think the vinegar I add for a fabric softener helps keep everything clean and running better as well! Hi have you used this soap with hard water? Hi Sandie, yes I have extremely hard well water and I refused to get a water softener and this detergent works really well for me.